Helen Knott is of Dane Zaa, Nehiyaw, and Euro descent from Prophet River First Nations, living in Northeastern B.C.. Helen is a Masters in FN Studies student at UNBC currently and holds a Bachelors Degree in Social Work. 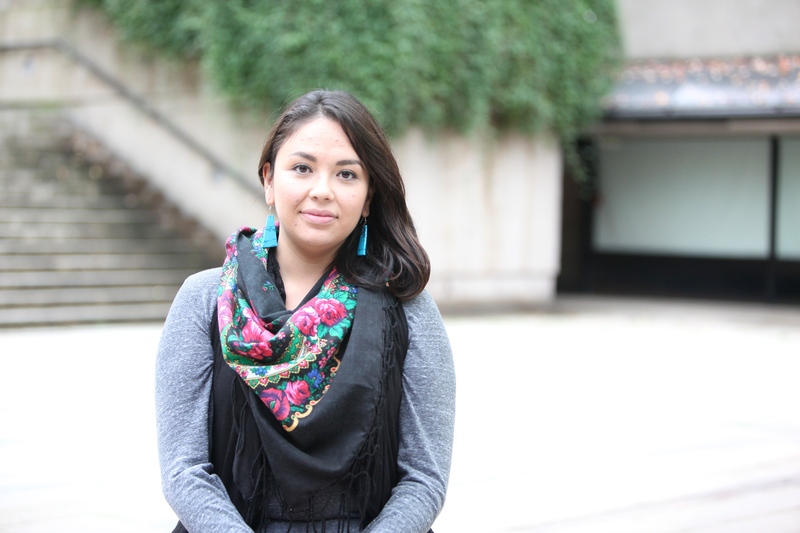 Helen began this blog in the third year of her social work degree to chronicle her decolonization journey and continues writing here, and elsewhere, in order to share what lessons, insights, and challenges she has experienced. She was once taught that teachings are not yours until you give them away so her words are a part of her offering back to the people. She has various pieces published in anthologies and books but her first book, “In My Own Moccasins: A Memoir of Struggle & Resilience”, will be released in the Fall of 2019 through the University of Regina Press. Helen is six years sober and clean on her journey and is passionate about healing. She is a mother to one, a mediocre beader, and a skilled berry picker. She also thinks writing in third person on her blog is weird so if you have any questions just ask. Wonderful to read you are reclaiming your heritage and traditions… keep going! Your writing is absolutely beautiful, and warms my heart. What a wonderful gift you have to be able to express what your heart says. I love love love reading your words! Keep up the good work. Thank you for sharing your story and for encouraging others to do the same. I admire your leadership and enthusiasm! I work with a broadcaster and we would like to seek your permission to quote from your poem Invisible that is included in the House of Commons report, Invisible Women: A Call to Action. We are developing a teachers’ resource guide to accompany a story we are doing on the missing and murdered First Nations women in Canada. The story will be part of an ongoing current-events series that we produce specifically for high school students in Canada. Your poem is powerful and heart-breaking, and we’d really like to be able to share it with a student audience. If you could contact me, I would greatly appreciate it. Eighteen years ago I was in Fort St John. I think that I have met you when you was a child. Are your parents Shirley and Richard? I have still a drawing that you made for me :-). Yes I am from Holland. I also remember your niece Clorisa and your aunt Charlene. You have my email now. Do you like that we have mailcontact? I am a teacher in the Vancouver area and I’ve just watched the video and your powerful poem about Site C. I’d like to have my students study your poem. Is it available in print anywhere? We have just recently looked at the poem Letter to Sir John A MacDonald by Marilyn Dumont and your poem will be a perfect piece to complement that work. Is your mothers name Shirley? !